Motorcycle accidents are not more common that other types of wrecks. However, these accidents are known for causing more severe injuries. The severity of a motorcycle accident is caused by the nature of the vehicle, as well as other factors. It is important for every motorcyclist to understand the most common causes of motorcycle accidents, as well as how to avoid them. Accidents with other vehicles on the road make up 56% of the total amount of deaths associated with motorcycles. Head-on collisions happen 78% of the time in motorcycle accidents, with a vehicle colliding with the back of the motorcycle only 5% of the time. Head-on accidents between a motorcycle and another vehicle are extremely dangerous and often result in death. Paying careful attention to the road at all times can help riders avoid hitting cars and help drivers avoid hitting motorcyclists. One of the most dangerous situations and a common cause of motorcycle accidents occurs when the driver of another vehicle is making a left-hand turn. 42% of motorcycle accidents involving another vehicle happen in this situation. The driver of the turning vehicle will often hit the motorcycle when the rider is trying to pass the driver or go straight through the intersection. Motorcyclists can practice better safety by waiting for the other vehicle to turn before moving forward. In most cases, the driver who was making the left-hand turn in an accident will be found at fault. However, if the motorcyclist was not following the rules of the road, they can also be held responsible. Speaking with a personal injury attorney is the best way to determine fault after a motorcycle accident. Motorcycles lane split when they drive in between cars or in between two lanes. Lane splitting usually happens during a traffic jam. This practice can be dangerous due to the cars being so close together and reduced movement space for the motorcyclist. Also, most drivers do not expect to see someone drive past them in this manner, especially when they are stopped in traffic. The compensation a motorcyclist can receive after a lane splitting accident will depend upon state laws and other factors. Fault for the motorcycle accident will be determined by the laws and by how both the rider and driver were behaving before the accident. Other factors can cause motorcycle accidents, include alcohol use and speeding. These two practices cause about 50% of motorcycle accidents and are more likely to cause severe injury or death. This is because motorcycles do not offer much protection for the rider, especially at high speeds. Motorcyclists can get into accidents with non-moving objects and these wrecks make up 25% of the total amount of motorcycle related deaths. Just like with speeding or alcohol, this type of wreck is so dangerous because the rider has no protection against the impact. Road hazards such as deceased animals, potholes, and uneven road surfaces are common causes for motorcycle accidents. Sometimes the hazards cannot be pinpointed to a person or entity, so nothing can be done legally about the injuries they cause. However, if fault can be placed on a person or entity for causing a hazard by being negligent, a personal injury lawsuit can be considered. The type of motorcycle being used can actually be a factor that causes accidents. The two most dangerous types of motorcycles are sport and supersport models. 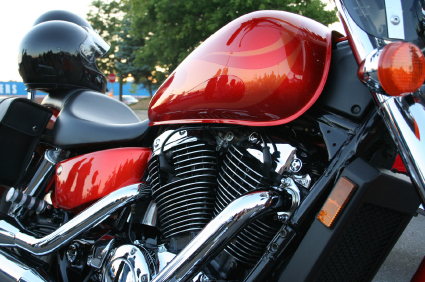 Both of these types, although not the most common, make up a large percentage of motorcycles involved in accidents. Those who drive sport motorcycles have a death rate that is 2 times higher than the average motorcyclist. Supersport motorcyclists have an even higher death rate at 4 times the rate of conventional bikers. An important step in practicing motorcycle safety is to know and avoid situations that can cause an accident. However, not all hazards can be avoided, especially if they are the fault of someone else. If you have been in a motorcycle accident, contact Attorney Dean Boyd today. You can call us at (806) 242-3333 or Contact Us by email for information about your free consultation and our services. You can also visit us in person at 4423 SW 45th Ave in Amarillo, Texas or 5012 50th St #103 in Lubbock, Texas to learn more about how we can help you.